Locksmiths are professionals who work with locks on windows, doors, vehicles, safes, and more. While you may already know that locksmiths can open locks for you, they are also tasked with repairing, installing, and adjusting locks as well. If you are currently searching the Internet for an “automotive locksmith near you,” you might be wondering exactly what tasks your local locksmith can provide for you. People also often have questions about this profession and we wanted to provide some answers for you and everyone else out there with a concern or inquiry. Why Should I Choose a Professional Locksmith? When you select a professional locksmith, that person has a broad knowledge of and experience with various lock, security, and safe problems that you might have. A professional will have the awareness to determine what the best solution is for your specific situation. In addition to that, your nearby locksmith will be aware of all the products on the market and how well they work. This means that the person will likely be able to provide a solution that fits your needs and your budget. 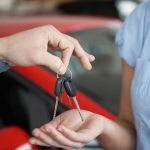 What Should I Do if I Have Lost the Keys to My Car? In some cases, there might be a key code available. This will only be available if you were the original person who purchased the keys. You can take a look at your bill of sale as this is typically where the code is written down. The car dealership may have a copy of this, as well. If you have no luck with this, check the cover of your vehicle owner’s manual. Sometimes people jot down the code in this location. And don’t worry, it’s not the end of the world if this isn’t available. However, getting your car refitted can cost more than if you have the appropriate key code. Can Keys Marked “Do Not Duplicate” Be Copied? If you have a key that is marked “do not copy” or “do not duplicate” or something similar, it can be copied but the process is a bit more in-depth than it would be for a typical key. Depending on the locksmith, they may require verbal confirmation from the owner to copy the key or they may need a professional letter of authorization. This is typically required to be on company letterhead with information about the key, how many to make, who can pick it up, and who is authorizing it. You may also need to fill out a form when pickling up the key itself. Will Having My Car Door Opened Cause Any Damage? Absolutely not. Locksmiths have special tools and are trained in modern techniques to open a car, home, or business. The reason locksmiths exist is to prevent any damage coming to your property if you have a key or lock problem. If you are concerned about choosing a professional locksmith who has the right tools, we provide some tips for getting a high-quality locksmith below. What is Rekeying and Why Should I Do It? When a lock is rekeyed, this means that your local “automotive locksmith near me” only needs to adjust the tumblers inside of the lock which makes it possible for a new key to open it. There are many reasons to choose this type of service. If you buy a home, for instance, and it was previously rented or owned by someone else, you are going to have no way of knowing how many contractors, neighbors, and friends also have a copy of that key. Rekeying can give you a higher level of security if you are not the first person to own the lock that the key fits into. In addition, if the only key is lost, rekeying will allow you to swap out to a new key. Most locksmiths will happily replace, install, or update deadbolt locks, lock cylinders, and locksets. What is Master Keying and How is it Unique? You may not know that there is an option to fit your home or business where only one key is needed to open any lock. This can be a convenient option compared to the alternative of having a huge ring of keys, one for every single door. When an “automotive locksmith near me” handles master keying, two keys can be used to open the same lock. This means that access can be regulated with one key while a master key allows appropriate people to access any lock they would like. Master keeling can be fantastic option for office buildings, residential homes, and even hospitals. Why Should I Hire Someone Instead of Installing a Lock on My Own? The truth is that most of the locks and similar items at home stores are not the best quality. Most are residential quality and some are even lower quality. If you are going to buy your own products, there are a few things to look for. The best quality hardware is going to have options for access control, resistance to drill and picks, and protection against unauthorized duplication of the keys. Maybe you’ll be able to find this at the nearest home store, but it might take quite a bit of time. A professional locksmith has the right tools and hardware and can get the task done in minutes. What Can I Do if It’s Hard to Turn or Remove My Key from a Lock? The easiest solution and the one you should attempt first is to spray the lock with WD-40 or a similar substance. You can find this at any hardware store, although it may also be found at supermarkets and drug stores in some cases. There’s no need to worry about spraying too much but have a rag or paper towel nearby to clean up any excess oil. The part you want to spray is inside the keyhole and on the bolt. After spraying, move the bolt in and out so the oil gets everywhere it needs to. Don’t take apart your lock unless you are absolutely sure that you will be able to put it back together. What if My Lock Isn’t Locking Smoothly? The first step is to try WD-40 like mentioned above. However, if that doesn’t work, you want to determine whether the lock works the way it should when the door is open. If the answer is yes, the problem is likely the alignment of your door and door frame. Take a look at the door jamb and threshold for any potential obstructions. You should also check for warps or twists in the frame. If the door rests soundly at the top or bottom but not the other, you have a twisted frame. However, if your door springs open, the hinges might be binding. Weatherstrip, if present, can also obstruct the door. Why Do I Have to Jiggle My Keys in the Lock? When locks age over time, the pins inside of the lock cylinder may wear down. This can cause your keys to stick, which means wiggling and jiggling the key may be required for the lock to work. Another issue here is that if you have keys that have been copied several times, those can be less precise than the original keys. When both problems are present, it can make it difficult for the lock to operate properly. This is when you should get in touch with that “automotive locksmith near me,” provided they offer other lock services. Will My Local Locksmith Make Copies of My Keys? Some locksmiths will, while others will recommend you simply visit a hardware store. The reason for that is because it’s simple and inexpensive to cut keys. Most locksmiths would need to charge higher prices for cutting a basic key. This is because they are likely a mobile service, so they would need to be compensated for the trip out to your location. 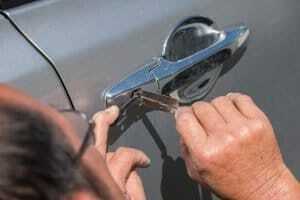 However, some locksmiths are happy to do this, so it never hurts to ask about it when you are in need. Can a Locksmith Fixed a Lock that is Damaged? In many cases, the lock can be repaired. However, there are some cases where this will not be possible. If this is the case, a new lock will need to be installed. The good thing is that a locksmith can handle both of these tasks, so your door and lock will be operating quickly regardless of the situation. Can a Locksmith Open the Lock on My Residential Home? The answer is that it depends. If you have a typical residential lock, any locksmith who is worth their salt is going to be able to open it with ease. On the other hand, there may be security locks that cannot be opened. However, that is a rare situation when speaking about residential locks. If your lock is fairly standard and the locksmith is unable to open it, this may be the sign of a poorly trained locksmith. If the person assures you that the lock needs to be replaced, this can be an attempt to make more money. Get a second opinion before agreeing to anything that drastic. Will a Locksmith Supply a New Key Fob? Many people aren’t aware that a locksmith can help if you lose the key fob for your vehicle. While a key fob isn’t something that is essential, it can certainly make getting in and out of your vehicle much more convenient. You may not realize how much you rely on this small device until you no longer have it. While you can find shops online that sell replacements, the “automotive locksmith near me” is also able to supply them. On top of that, this professional can also program the key fob, so you aren’t forced to do it on your own. Can a Regular Person Purchase Tools for Picking Locks? In most states, it is illegal to sell these tools as they could aid in burglaries. It is typically also illegal to possess these sorts of tools. You are not going to find a professional locksmith who will sell these tools to you and you should not buy them as a law-abiding citizen. How Do I Know a Locksmith is Trustworthy? Most locksmiths are good people who are highly trained and want only to help you solve a problem. However, there are scammers in any profession, which means that it pays to do a little research before hiring one. If you’re locked out of your car, you may need immediate service, which is why it is also a good plan to have a locksmith you trust who you can call on. Add their number to your phone contacts and you will be good to go. When it comes to finding the right locksmith, do some research online and read reviews and ratings from past clients. When is the Right Time to Contact a Locksmith? Locksmiths are available if you find yourself locked out of a vehicle, home, business, or safe. Most will be able to gain access to the majority of locks for an inexpensive price and with little to no damage. A locksmith is also able to secure your office, home, valuables, and other assets from theft and intruders. This can be done in a way that satisfies the requirements of your insurance provider. If you lose your keys, a locksmith can also change the locks for you. This is also available if you move into a new dwelling that was occupied in the past. Essentially, if your needed task relates to locks, keys, or safes, a locksmith is the best person you can have at your side. Locksmiths can handle a ton of different situations and take care of all of your lock, key, and safe needs. The answers above should provide some information about exactly what locksmiths are capable of, when you should call one, and what you can expect from them. Now when you make that search for “automotive locksmith near me”, you’ll know precisely what to expect.